Sermon preached on Judges 1, 4 by Rev. 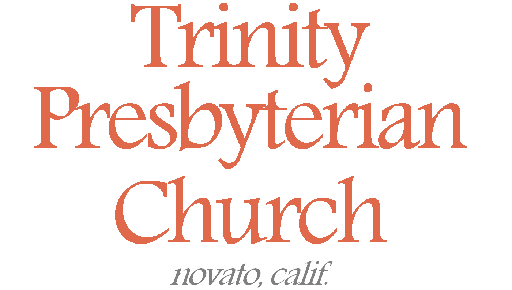 W. Reid Hankins during the Morning Worship Service at Trinity Presbyterian Church (OPC) on 10/6/2013 in Novato, CA. Audio recording not available for this sermon. As we continue our sermon miniseries today on key women of the Bible, we continue to look at the time of the judges. Last week we studied Deborah as a woman judge during this time. And today we get another picture of life during this time of the judges. If you recall, we had stated that these were troubling times for the people of Israel. The time of the judges was marked with a repeated cycle of sin, followed by God chastising them because of their sin, which typically involved God letting some other nation around them to afflict them. Then the people would cry out to God, and God would hear them, and raise up a judge to liberate them. Toward the end of the book of Judges it gives commentary on the times with a repeated statement of the problem — that there was no king at the time, and so everyone did what was right in their own eyes. In other words, something that becomes clear during the time of the judges is that the people needed a godly king to lead them in righteousness. Well, the book of Ruth is situated during the time of the judges, and it’s actually showing how God was at work during that dark time to bring about a solution. The story of Ruth shows how God worked during that troubling time to ultimately bring forth King David, a king after God’s own heart. And so then we come to the story of Ruth, and also of Naomi, Ruth’s mother-in-law. And though the bigger picture is how God would raise up a king to solve the problems of the time of the judges, that’s the bigger picture. The story itself is not about that coming king. It’s about the life of Ruth and the life of Naomi. Ruth is an outsider. Naomi is a prodigal or defector of sorts. This story is first about their redemption. And that gives hope and encouragement to all the outsiders and prodigals that there is hope of redemption. And so let’s dig into this story. I’m going to endeavor now to walk us through the whole book and give some commentary along the way. So, we begin in chapter 1, verse 1, and we see the setting. It was the time of the judges, and there was a famine in the land, including in the town of Bethlehem. Bethlehem means house of bread, by the way. In the house of bread, there was no bread! So, a man named Elimelech takes his wife Naomi and his two sons to move to Moab, at least for a time. Now, a few things should stand out to you. Why is there a famine in the Promised Land, the land that was supposed to be a land of milk and honey? Well, in Deuteronomy, Israel was told that if the people were unfaithful to God, then one of the covenant curses would be that there would be famine in the Promised Land. Well, we said the time of the judges was a time of repeated cycles of sin and unfaithfulness, so we are not surprised to see that God had been chastising them with a famine. But it should surprise us that Elimelech would move out of the Promised Land and go over to Moab. Was that the practical thing to do? Maybe, yes. Maybe that’s what we’d be tempted to do. But in the grand story of biblical history, moving out of the Promised Land to go live with the outsider Moabites, would have been seen as an ungodly move. The Moabites were notorious for their shameful beginnings — see the story in Genesis 19 with Lot and his two daughters. And the Moabites’ state religion was to worship the false god, Chemosh. So, this was not the right move. The irony in Elimelech’s leadership here is that his name means “My God is King”. The very stated problem during that time is there was no king, everyone did what seemed right in their own eyes. But the people were supposed to see that they did have a king — that God was their king. Elimelech’s name affirms that truth, but his actions of leading his family out of the Promised Land do not reflect that. They show him doing what he thinks best, not what God thought best. Well, their time in Moab did not bring them what they had hoped for. Naomi says of her time in Moab, that she went away full, and came back empty. That’s not entirely accurate, as she does come back with Ruth. But it surely reflects the general picture — In Moab, first Elimelech dies, leaving just Naomi and the two sons. But they don’t then just head back to the Promised Land. No, they stay ten years and the sons each take Moabite wives. And then each of the sons die. So, Naomi loses all the men in her life — the only people left in her life are Ruth and Orpah, her two daughter-in-laws. But then some good news — Naomi hears that God had visited Israel and gave them bread! We should remember that cycle of sin and restoration during the time of the judges. That’s what seems to be happening here. What will this prodigal Naomi do then, she who with her husband had abandoned God’s land for supposedly greener pastures? Well, she decides to return, empty, but this seems her only hope. So then, in chapter 1, Naomi attempts to send her daughters-in-law back to their mother’s homes. She’s trying to release them from their commitment to her family. Normally, the levirate law system would have had Naomi give her other sons to Ruth and Orpah to raise up offspring on behalf of the deceased. But Naomi had no other sons, and wasn’t going to have anymore any time soon, surely ever at her age. Well, Orpah agrees to return to her mother’s home, but Ruth does not. Instead, you get the grand confession of Ruth in 1:16-17. She swears in the name of the LORD, the one true God, the God of Israel, that she would stick with Naomi. That she would return back with her and Naomi’s people and God would be her people and God. Realize, this is the right thing for Ruth to do. Very commendable. And from a religious stand point, exactly the right place to put your hope, in the one true God. She renounces her pagan false god and her previous people, and looks to join fully with Israel and the God of Israel, and live in the Promised Land. Realize, Naomi doesn’t seemed thrilled by this. It seems implied here that at least at first here in chapter 1, that Naomi would have preferred Ruth to not come back with her. As Naomi comes back as a sort of returning prodigal daughter to Israel, bringing Ruth along is like the very visible tangible expression of how they had abandoned their home and left for Moab. People would look at Ruth and know right away she was a Moabite, and that would only remind Naomi and everyone else about how Naomi had abandoned everything to go to Moab, and how it didn’t work out very well for them. Could Naomi ever rebuild with the stigma of Ruth around? Well, to further bring out Naomi’s attitude at the end of chapter 1, just look at verses 19-21. When they get back to Jerusalem, people are surprised to see old Naomi, but she tells them not to call her Naomi, but Mara, which means bitter. Naomi blames God, saying that he has made her life bitter, having left full, but now returning empty. Well, that name seems to fit Naomi then. At this point, she does seem a bitter person. Could there yet be redemption for this prodigal Naomi? And what about Ruth? The story goes on to repeatedly show that she’s a Moabite and outsider. Could there be redemption for this widow Ruth who now seems to have no one to help her? Well, that brings us to chapter 2, and there some hope is introduced! There we meet Boaz, a godly man with lots of land. Not only that, but he is a relative of Naomi’s late husband. The importance of that comes out in next chapter. But in chapter 2, we see one of Ruth and Naomi’s problems being solved. You might say that they had two problems, that were both seed related. They did not have any seed in terms of male offspring to carry on the family line and inheritance, or to care for them as a provider. That is true. But they also didn’t have any seed in terms of food. They were poor and needed grain to eat. So, Ruth goes about to solve this. There was a provision among the laws of Israel where God required the landowners to allow the poor people to do what is called gleaning. Basically, it meant that when you harvest your crops, you weren’t supposed to go back through a second time to get every last possible part of the crop that you may have missed. And if your dropped say a sheath of grain on the ground, you weren’t supposed to go back and pick it up. Instead, you were to leave these for the poor. It would have been hard work, but the poor were allowed to go through after the farmers did the harvest, and clean up whatever little remained. You weren’t going to get rich doing this, but you should be able to get enough for your basic sustenance. This could have been dangerous work, especially for a woman and especially for an outsider. The laws of God for Israel should have protected a woman and an outsider and a poor gleaner. But remember, this was the time of the judges. People didn’t always do what God’s law told them to do. Chapter 2 brings out that concern. And so in chapter 2, Ruth is shown as just happening to come to Boaz’s field to glean. And Boaz shows her great kindness and sees both to her safety and success in gleaning. He even instructs his works to “accidently” let some bundles of grain fall before her! When Ruth asks Boaz why he is showing such kindness to her, he acknowledges how he’s heard about her good treatment of Naomi and the sacrifice she made in coming to the land of Israel. And then Boaz says this to her, 2:12, “The LORD repay your work, and a full reward be given you by the LORD God of Israel, under whose wings you have come for refuge.” Boaz sees what Ruth has done as an expression of religious faith and trust in the one true God, and blesses her. Well, at the end of chapter 2, in verse 20, we see that Naomi is pleased about Ruth meeting Boaz. Naomi tells Ruth that not only is Boaz a relative, but a close relative, one of their kinsman redeemers. In other words, he could fulfill the spirit of the levirate law system to marry Ruth and raise up offspring on behalf of the deceased (see Lev. 25 and Deut. 25 for more information). Normally it would be the brothers of the deceased who do this, but in their absence, it was evidently understood to extend to other close relatives, with some system or priority for who was the next closest in line to do the levirate law duty. Such a person like Boaz was thus called a kinsman redeemer, goel, in the Hebrew. They were a close relative that could redeem the land and offspring of the dead in this way. And as we get then to chapter 3, we see that Naomi recognizes how this could solve their other problem. Because of Boaz’s kindness, and Ruth’s hard work, they now had food to eat again. But they still didn’t have any offspring to carry on the family inheritance and to ultimately provide for them. Being a widow at that time, was otherwise going to be a place of poverty and loneliness in various ways. And so in chapter 3, Naomi goes to Ruth and gives her a plan to try to solve this. Basically, Naomi learns that Boaz will be at the threshing floor that night and she gives Ruth a plan to try to get Boaz’s further attention. Now as you read chapter 3, Naomi’s plan, frankly, sounds a bit suspect. It sounds like Naomi might be going beyond matchmaking, and trying to put Ruth in a place that would maybe seduce Boaz into something. Naomi’s plan sounds too similar to say other Israelite wives who employ a bit of sly activity to get their way, like with Rebekah and Tamar. But here is where Ruth shows she’s not like those Israelites (maybe her outside status helped there). Because when she begins to follow Naomi’s advice, she stops at the critical moment and deviates from the plan. In 3:9, she doesn’t wait for Boaz to act, possibly tempting him into something inappropriate; no she speaks up and lets Boaz know her exact, commendable, desire. She says to him, “Take your maidservant under your wing, for you are a close relative.” Recall Boaz had commended her for coming under the wings of God’s protection. Now she calls him to be the tangible expression of those wings. She asks him to be a kinsman redeemer. This is her asking him to take her as his wife and raise up offspring on behalf of her deceased husband, and Boaz’s close relative. Well then, in chapter 3 we are overjoyed at first to see Boaz flattered and willing to do this. But then there is a kink in the plan all of a sudden. 3:12 tells us that there is another closer kinsman redeemer. At this point in the story, the romance is in the air, and for us as a reader, and surely even Ruth as a woman, this is not what we want to hear! Ruth has been struck by Boaz’s kindness. Boaz too has been struck by Ruth’s godliness. That is clear in chapters 2 and 3. There is love in the air, so to speak. And so this last twist of another kinsman redeemer halts us and concerns us. Since Boaz is painted as such a righteous man, he wouldn’t proceed with redeeming Ruth, if the other closer relative wasn’t give the appropriate opportunity first. And so that leads us to chapter 4. Boaz goes into action and goes to the city gate to find this closer relative. In God’s providence, this closer redeemer, who is given no name in the story, just happens to be coming by. It’s interesting to watch how he pitched the opportunity to this other relative. He first mentions the property. Would he redeem the property of Elimelech and his sons from Naomi? Surely this was their plot in the Promised Land they had abandoned some ten years earlier. At this point it was probably in disrepair and would need some work to get back up to speed. But if this other relative made that initial investment, it would have surely in the long run paid off. So, he at first tells Boaz that he would redeem this land. Our hearts sink. But then Boaz breaks the news that this means that this relative would also need to take Ruth as wife and raise up an heir on behalf of the dead. At that point, this unnamed relative backs out. In 4:6, he explains that it would jeopardize his own inheritance. He doesn’t spell that out for us, but the basic idea is that if he was just getting some land in disrepair, that had no heir, essentially it would be folded into his own family’s inheritance. But if he had to take Ruth too and raise up an offspring with Ruth, then that offspring would ultimately get all this land that he would be redeeming. Instead of being a nice investment for himself, it would ultimately be a cost for him — he’d invest money to get it fixed up and then just to hand it over to the heir he would presumably have with Ruth. So, this unnamed relative would not be the kinsman redeemer. Consequently, his name is not recorded here, and he presumably misses out from being a part of the good thing God was doing in all of this. But that is okay. As the readers, we are overjoyed to hear that Ruth and Boaz get to be married! And so Boaz serves as a kinsman redeemer and marries Ruth. The people and the elders bless them, that Ruth would be like Rachel and Leah, building his house as they had built Jacob’s house. And they also mention Tamar in the blessing, that Boaz’s house would be blessed similar to how God brought Perez through Tamar and Judah. That of course was also a kinsman redeemer sort of thing too, as we studied. Well, their blessings come true when Boaz and Ruth have a son, named Obed. And so the final verses, verses 13-22, are all very climactic. The women tell Naomi how blessed she is by the Lord, saying, “Blessed be the LORD, who has not left you this day without a close relative (literally ‘kinsman redeemer’); and may his name be famous in Israel! And may he be to you a restorer of life and a nourisher of your old age; for your daughter-in-law, who loves you, who is better to you than seven sons, has borne him.” Verse 16 talks of how Naomi cared for the baby. And so not only was Ruth redeemed, but so was Naomi. Bitter Naomi who said she had nothing when she returned, even though she did have Ruth, has found joy and fullness again. And so this is a story of famine to fullness. It’s a story of redemption for outsiders and returning prodigals. And as the story ends showing how the genealogy of Boaz and Ruth quickly leads to the birth of David who would become king, we realize that God used this amazing redemption of Ruth and Naomi to ultimately bring forth a king of God’s choosing — the larger solution for the time of judges. And so that is the story of Ruth, in brief. In stepping back then to assess and apply the story to us, let me reiterate the importance of the kinsman redeemer concept here. That is what Ruth and Naomi needed. This kinsman redeemer. It came in Boaz. But realize, God was behind it all. That’s why at the end, the women told Naomi that it was God who did not leave her without a kinsman redeemer. And that is why when Ruth asks Boaz to spread his wing over her, that it really looks back to when Boaz had told her that she had come under the care of God’s wings. God worked through this to provide redemption for Ruth and Naomi. A kinsman redeemer was someone who was a close kin who had this special call to provide aid and help to the one in need. So much could be said of this. For today, I will simply point out the bigger picture. Through the kinsman redeeming of Boaz, there would come a kinsman redeemer for all Israel. And Israel needed a king. Not just a king that was up the invisible God over all. But one that could come to them, like them, their own kin, to provide immediate leadership with them in person. King David would do that, even if imperfectly. But this leads to the one who did ultimately come as the perfect kinsman redeemer. Our ultimate king is truly God. And God in his only begotten Son came to earth and also became man. He did this to redeem us. Jesus became our own kinsman redeemer by becoming our kin, by becoming a man. And just like how Boaz would have to assume some cost to redeem Ruth — that’s why that unnamed man turned it down, so too with Jesus. To redeem us, he had to purchase us with his own blood. He had to die on the cross in our place for our sins. In order to atone for our sins. That we could be redeemed. But why was Boaz willing to do this for Ruth? Surely it was because he loved her. And why was Ruth willing to do all that she did to help in the redeeming of Naomi — it was because she loved Naomi, 4:15. And why was Jesus willing to become our kin in taking on human flesh, and pay for us with his own blood? Because he loves us. And this Jesus, this perfect kinsman redeemer, has also then become our king. Just what we all truly need. Believe then in Jesus. Repent and turn to him for life and sustenance. Look to him as your king and kinsman redeemer. Know his love and salvation. So then, I leave us one with final application. It’s that application that our Pastor Emeritus Miller likes to say. Romans 8:28 is still in effect. Romans 8:28 tells us that all things work together for good to those who love God and are called according to his purpose. This book is a wonderful testament to that. This is seen in Naomi’s life. Her flight from God’s land and people to Moab left her empty and bitter of the Lord, but God was at work even through Ruth to bring her joy. Romans 8:28 was still in effect. Ruth who had lost her husband and was going to a strange place as an outsider might have wondered at first why her life took these turn of events, but Romans 8:28 was still in effect. She was ultimately included not only into the community of God’s people but into the line of promise that would bring forth both King David and King Jesus, the Messiah! On the bigger picture, the time of the judges was a troubling time for Israel, how could this be a part of God’s plan, and yet the book of Ruth shows us how God rose up the line of David during this time, despite the evils of that time. And on the even bigger picture, God used even this time, and the lives of Ruth and Boaz and Naomi to bring forth our Lord and Savior Jesus Christ. The very last word in this book is David. But the ultimate last word of God is Jesus. He brings focus to the entirety of God’s plan. That’s how we know God works all things together for good. We’ve seen how it all comes together in Jesus Christ, and in our relationship with him. And so whatever trials and troubles you might be going through, don’t despair. If you feel like an outsider, know that God has made you an insider in Christ. If you recognize you’ve been walking away from God as a sort of prodigal or defector, know that you can yet find forgiveness and restoration in Christ. If you’ve been tempted to bitterness or depression, find your joy in Jesus who loves you so much. If you’ve thought that you have nothing, that your life is empty, see that you have Jesus Christ, better to you than seven sons and even seven Ruths. Realize that in the midst of whatever is going on in your life, if you know Christ and are known by him, that all things are working together for good. May the fact that the book of Ruth helps us to see the bigger picture of what God was doing in their lives, remind us that God has a bigger picture that he’s working on for us even too. Trust God’s good plan and his blessings, even when at first we don’t see them immediately coming in the ways we might expect. Trust that God loves you and has it under control. He does! Amen.